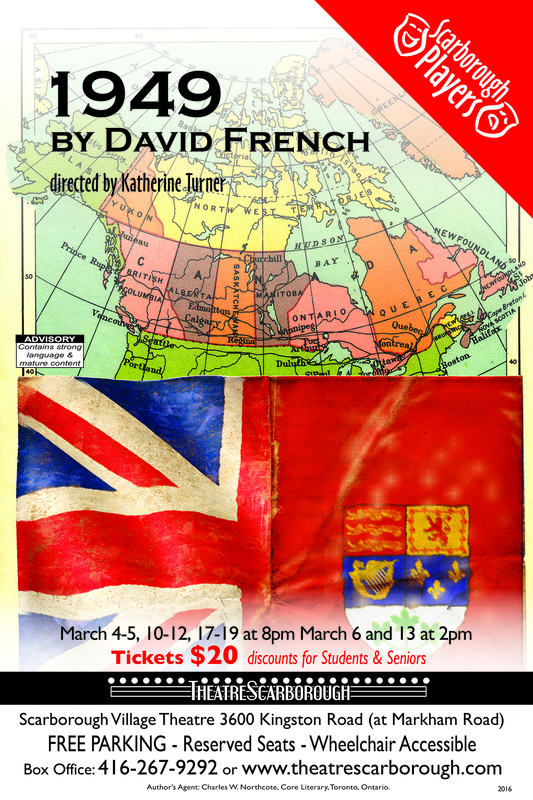 March is really turning out to be a great month to see a play by David French in the GTA. Salt-Water Moon at Factory Theatre is running and has received stellar reviews; Jitters will soon be running at Soulpepper, and 1949 is about to open in Scarborough. 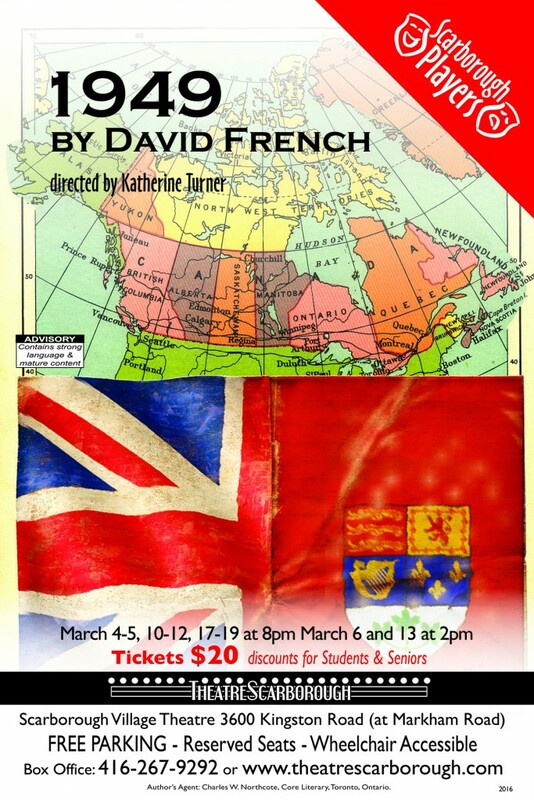 The Scarborough Players will be presenting 1949, David's large-cast Mercer play that takes place on the eve of Newfoundland's referendum about whether or not to become Canada's tenth province. 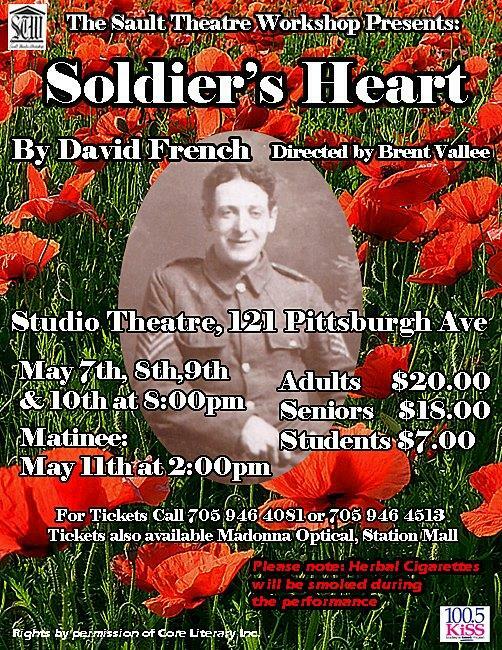 You can find more details about performance dates and tickets on their website: Scarborough Players Here's the beautiful poster for the show. 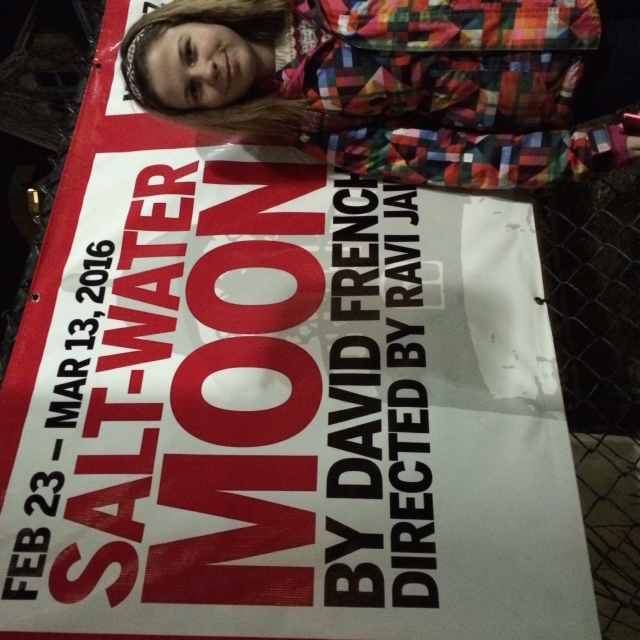 Reviews are rolling in for the production of Salt-Water Moon at Factory Theatre in Toronto, and they are raves! 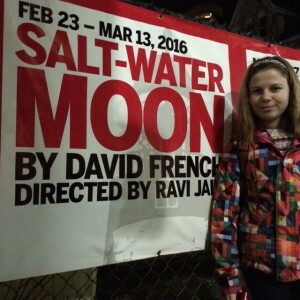 Click on the links to read the articles: "Salt-Water Moon is an irresistible reimagining of a Canadian classic" (Globe & Mail) "Salt-Water Moon update is startlingly romantic: Ravi Jain at Factory Theatre reminds us why David French's play is a classic" (Toronto Star) "A stripped-down, poetic staging of David French's classic is sure to win your heart" (NOW Magazine) "SALT-WATER MOON is Pure Poetic Bliss" (Broadway World) "Salt-Water Moon is both winsomely endearing and utterly swoon-worthy" (Mooney on Theatre) "A thoughtful, beautifully acted production that makes you look at the play anew" (Slotkin Letter, Passionate Playgoer) The actors are amazing; the direction is beautiful; the show is magic. See it if you can! SWM Opening on Friday at Factory! The next few weeks will be very exciting for Mary and me and the whole French family. 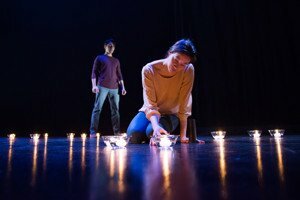 Factory Theatre's production of Salt-Water Moon is in previews right now, and it opens on Friday. Next week, Jitters will begin previewing at Soulpepper. We're delighted to have two of David's plays running at the same time at two of the best theatres in the city. First up, Salt-Water Moon at Factory! Ravi Jain, the director, says the team has been having a wonderful time in rehearsals. Toronto audiences will remember Ravi from A Brimful of Asha, his funny, warm, and candid family play -- in which Ravi appeared opposite his mother. 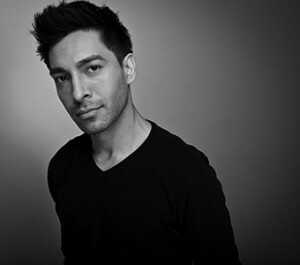 Ravi is also the artistic director of the Why Not Theatre company. The two actors who star in Salt-Water Moon are Kawa Ada, recently seen in Soulpepper's Accidental Death of an Anarchist, and Mayko Nguyen, perhaps best known for her role as Mayko Tran on the television series ReGenesis. Here are photos of the two stars of the show, along with a snapshot I took of Mary, posing by the Factory billboard for the play. Can't wait to see it! 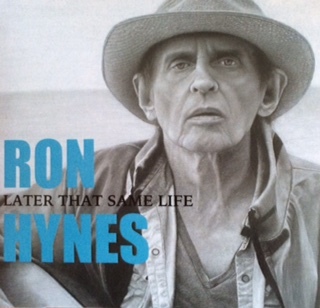 Ron Hynes, Newfoundland singer-songwriter died this week, at the age of 64. David and I both loved Ron's music. Twice we saw Ron perform at one of our favourite venues, the Trailside Inn in Mount Stewart, PEI. The first time we brought our daughter Mary, who was about 6 months old, along with us. Ron saw her from the stage and dedicated a lullaby to her. The next time he and David had an animated conversation after the concert about how they should collaborate on something sometime. David often listened to Ron's songs, with "Dark River" and "Godspeed" two of his particular favourites. In the summer, John Connolly, a PEI singer-songwriter and friend of Ron's, told me about a song Ron had written called "After Leaving Home." I found it on YouTube and wrote to Ron to tell him how much I liked it, and how David had liked listening to his CDs. Ron wrote back to thank me for telling him that. At the time I didn't realize how ill he was. He was a towering talent, a master songwriter and poet. Gone too soon. Godspeed, Ron. RIP. Ron's last album, featuring "After Leaving Home"
Barbara Tarbuck, director of a production of Leaving Home by the Ruskin Group Theatre in Santa Monica, sent me this wonderful promo video. The show opened last night -- sure wish I had been there to see it! Enjoy. 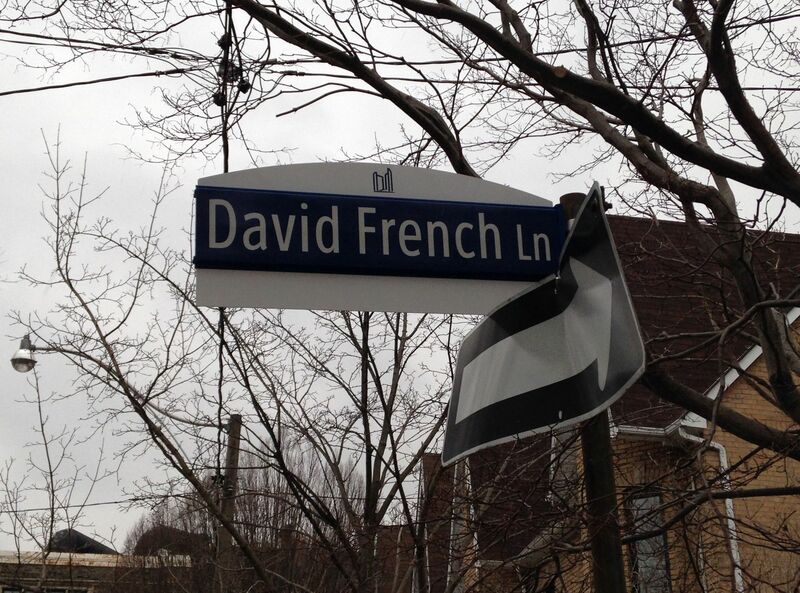 On June 22, 2014, David French Lane was officially dedicated with a City of Toronto ceremony. 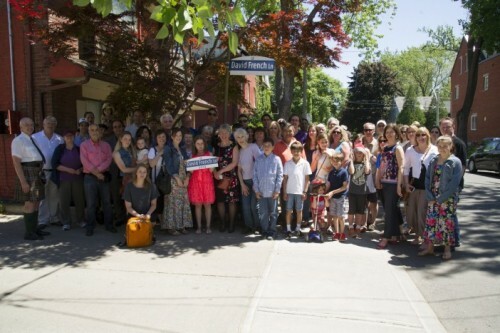 About 65 friends and family members came to celebrate on that sunny Sunday morning. At the event, Rory Sinclair and Tim Grant of the HVRA spoke, and then I said a few words about what the neighbourhood meant to David, which I will condense here: A sense of place was very important to David’s work and to his life. His plays are often associated with Newfoundland, where he began, that island that shone vivid in his imagination. And of course, he loved PEI, where he spent 40 summers. 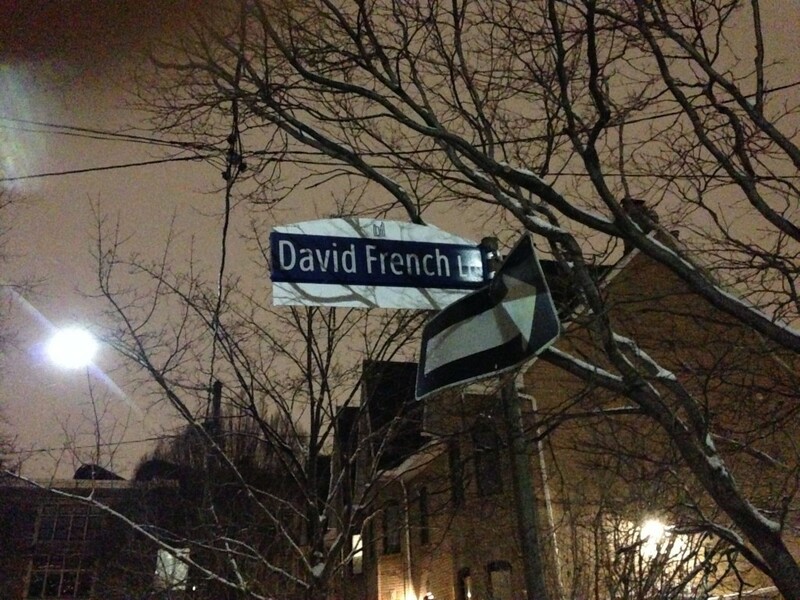 But in fact, the majority of David French’s plays were set here, in Toronto. He lived most of his life in this city. From the lean-to at the back of Mr. Nutt’s shoe repair shop where his family moved in the 1940s, to the houses on Oakwood and on Euclid. He went to Rawlinson Public School, to Oakwood Collegiate, and also to Harbord Collegiate, just down the street from here. 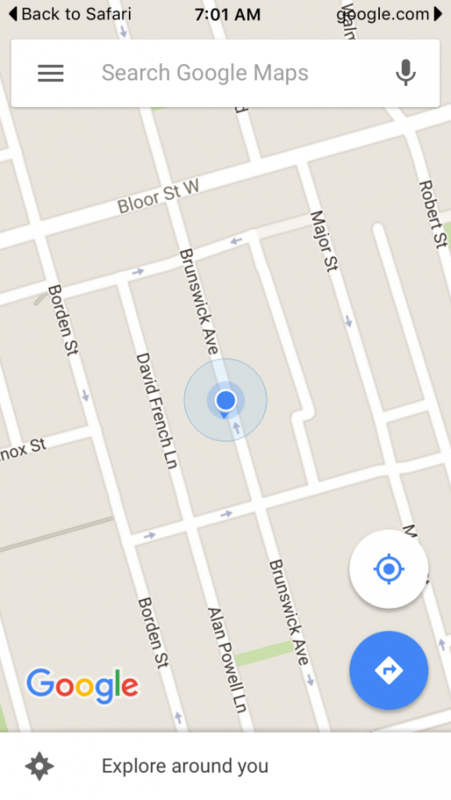 David moved into the upstairs apartment at 254 Brunswick Avenue in the mid-1970s. It was a place with great neighbours who became lifelong friends. It was close to the Tarragon Theatre, to bookstores, and to a movie theatre -- some of the things David considered essential. He could have morning coffee and conversation at a friend’s apartment, or read his paper at JJ Muggs. All-day breakfast at Paupers Pub. Dinner at the Other Café, at the end of the street. And although some of the people and places changed throughout the decades, David stayed right here. He loved this ‘hood. It was part of him. And of course, David spent many, many hours writing plays at our kitchen table, which overlooks this very lane… After the ceremony, the sign was unveiled and Rory played the beautiful pipe tune “The Battle of The Somme.” Afterward, many of us went to Paupers for a nosh and a drink. The naming of the David French Lane means so much to his daughter Mary, to me, and to all of his family and friends. I’d like to thank the City, the HVRA, (Rory Sinclair and Jan Muszynski in particular) for making sure that David is now literally on the map. It’s a great honour, and we will always be grateful. I’d like to thank everyone who came to share the day with us! 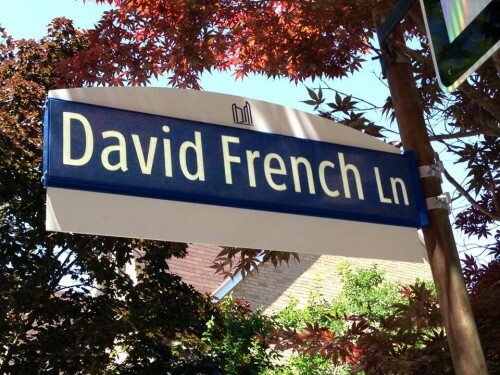 Mary and I are very happy that the lane running behind our apartment on Brunswick Avenue has been named for David! 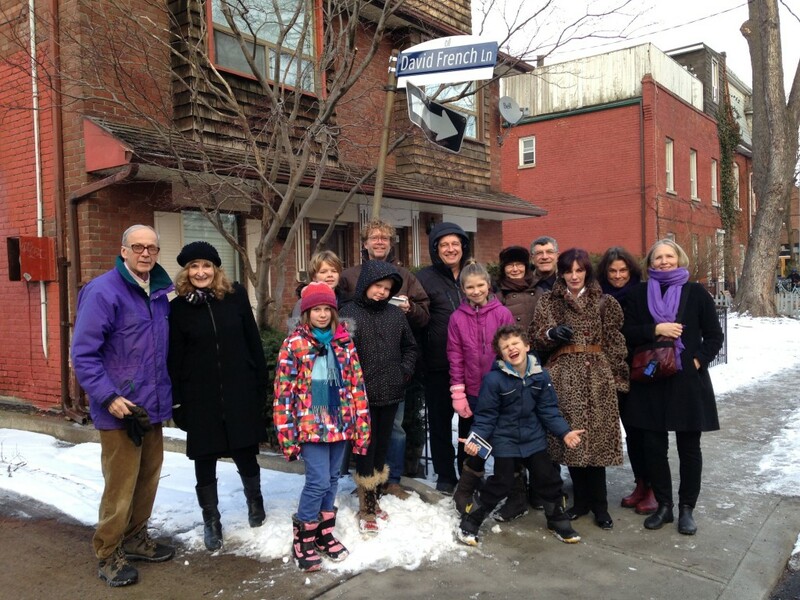 The Harbord Village Residents' Association has been honouring notable Annex residents this way, and our downstairs neighbour Jan Filips Muszynski suggested that our lane be named for David. This winter the signs appeared, and the lane became searchable on Google Maps. 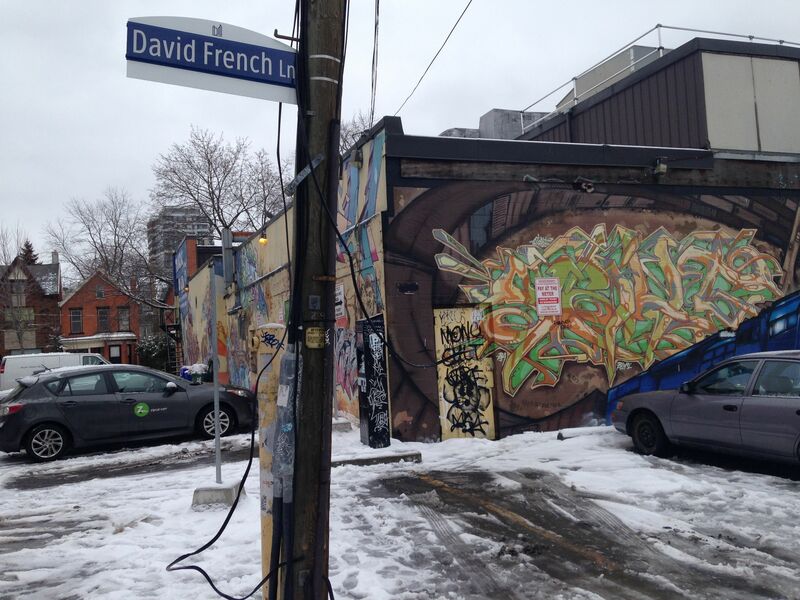 David lived in the apartment on Brunswick for over thirty years, and when he worked he often sat facing the lane, so it really is an apt tribute. David would have turned 75 this January. To mark the day, Mary and I invited some friends over for pie -- which was David's favourite dessert. After pie, we put our coats on and I took some photos of friends gathered around the sign. (I'll post one below.) On June 22nd, there will be an official City of Toronto ceremony to christen "David French Lane." I hope you can join us! More details will follow. 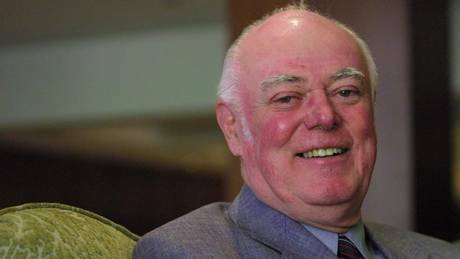 It's with sadness that I write this tribute to Alistair MacLeod, one of Canada's literary lions, who died on Easter Sunday. David and I both loved his writing. In the 1980s when I worked at Playwrights Union, our Executive Director Jane Buss gave me a copy of his wonderful short story collection, The Lost Salt Gift of Blood. I remember laughing, weeping, and marveling at MacLeod's ability to get to the beating heart of family relationships. MacLeod's novel No Great Mischief is, of course, a classic. 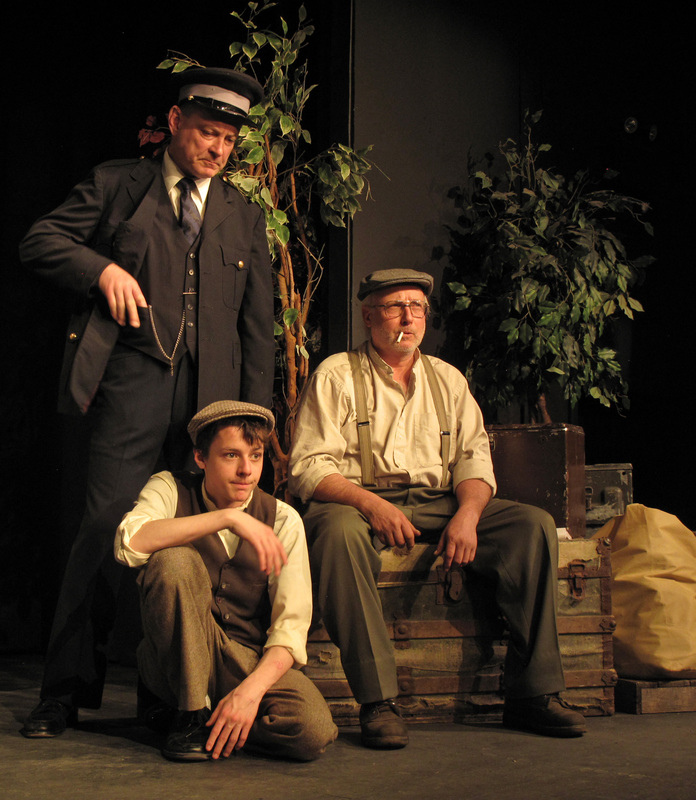 In 2006, I had the pleasure of selecting and editing David Young's stage adaptation of that novel for Scirocco Drama. David and I were lucky enough to meet Alistair several years ago when Lee Gowan of the U of T School of Continuing Studies Creative Writing Department invited Alistair, David, and Michael Winter to do a reading. We all went out for dinner first, and it stands in my memory as one of those golden evenings where the company could not possibly have been improved upon. 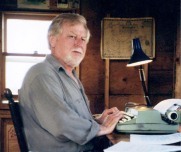 David was to get to know Alistair better a few years later when he went to be Writer-in-Residence at the University of Windsor. Alistair's office was just down the hall from David's, and they formed a teasing friendship that apparently involved a lot of ribbing about offices. (Alistair's office was famously cluttered, while David, who was only in Windsor for a year, had a very sparse set-up.) My condolences to Alistair's wife Anita and his children and grandchildren. His deep love for his family was apparent, and they will miss him very much.